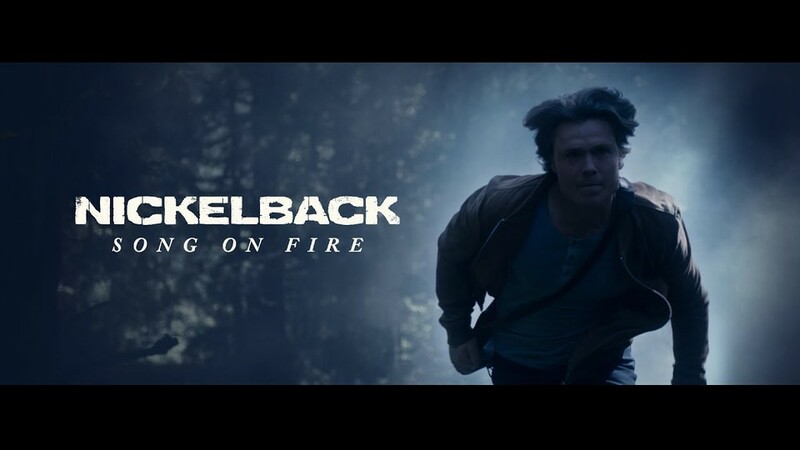 Today, Nickelback released the music video for their new single “Song on Fire.” Fans can tune into the TODAY SHOW tomorrow, June 13th to watch the band perform the song live along with “How You Remind Me.” “Song on Fire” is taken from their ninth studio album Feed the Machine which will be released this Friday, June 16th via BMG. Pre-order it HERE. The video for “Song on Fire” explores these concepts further by telling a heartwarming tale of love prevailing. Interspersed throughout footage of the band performing, the video follows the story of a woman lost in the woods. The woods serve as a metaphor for the woman’s struggle to find herself as well as her way back home. Phantoms from the woman’s life try to point her in the right direction as an unknown man struggles to find and reach out to her. Unfortunately, the woman continuously slips through his fingers, driven in the opposite direction by an ominous hooded figure dressed in black. When all hope seems to be lost, a final act of love and devotion is able to break her free. As the woman comes back to reality it is revealed that the she was fighting for her life in the hospital - the phantoms her family and the unknown man her devoted husband. “Song on Fire” is currently available across all streaming platforms and as an instant grat track via digital retailers. Tickets for the band’s North American tour (produced by Live Nation) are also available HERE. The Feed the Machine Tour kicks off June 23 in Noblesville, Indiana, and continues with 45 dates across North America including stops in Detroit, Los Angeles, Chicago, Toronto and Vancouver, with more dates to be added along the way. Fan’s in NYC will get the chance to catch the band perform ahead of the tour this week Wednesday, June 14 when they perform a special show at the iHeart Theater.